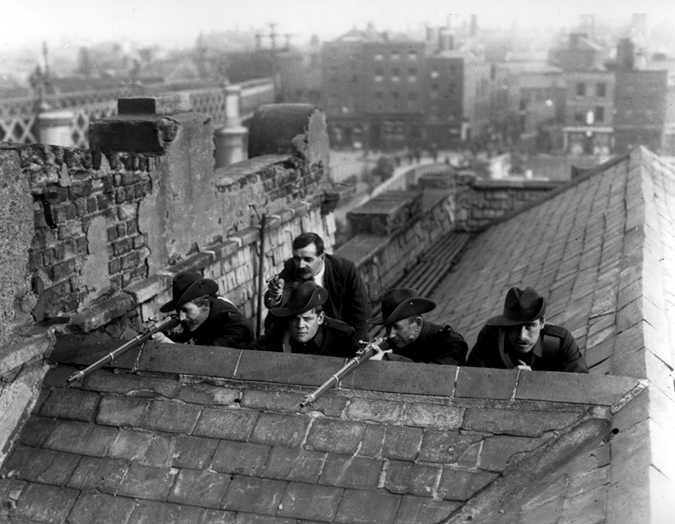 On Easter Monday 1916, a small group of committed Irish Republicans occupied buildings in central Dublin and declared their country’s independence from Britain. The tragic outcome of the Irish uprising was anxiously observed by members of the political left around the world. The execution of James Connolly, ‘carried out on a stretcher and strapped in position to be shot’, commented the feminist and revolutionary socialist, Sylvia Pankhurst: ‘I remembered him as one who had lived laborious days in the service of human welfare; a man of pity and tenderness, driven to violent means, from belief that they alone would serve to win through to a better life for the people’, she wrote. Although ‘he had thrown in his lot with the Sinn Fein patriots, he remained an internationalist’ and was the man best fitted ‘to take a substantial share in developing Ireland’s part in the world-wide social changes which…are advancing to transform the face of human society’. This publication from the Socialist History Society is a contribution to this still controversial event whose legacy remains much contested even today as we mark its 100th anniversary. John Newsinger, who is Professor of History, Bath Spa University, takes a particularly close interest in the history of the labour movement, the British Empire and Ireland. A prolific author, John’s publications include: British Counterinsurgency: from Palestine to Northern Ireland (2002); Rebel City: Larkin, Connolly and the Dublin Labour Movement (2004); The Blood Never Dried: A People’s History of the British Empire (2006); Fighting Back – the American Working Class in the 1930s (2012); Jim Larkin and the Great Dublin Lockout of 1913 (2013); Them and Us: Fighting the Class War 1910-1939 (2015) and British Counterinsurgency (2nd revised edition, 2015). John is a member of the Socialist History Society.